Marbella, Estepona, Puerto Banus and lots more. Ideally located in western Andalusia, Mar Azul Resort is well-positioned for visiting the best of the Costa del Sol. The property resides next door to the world-renowned 5 star Kempinski Hotel, with all its fine dining, extensive tropical gardens and exciting water sports. 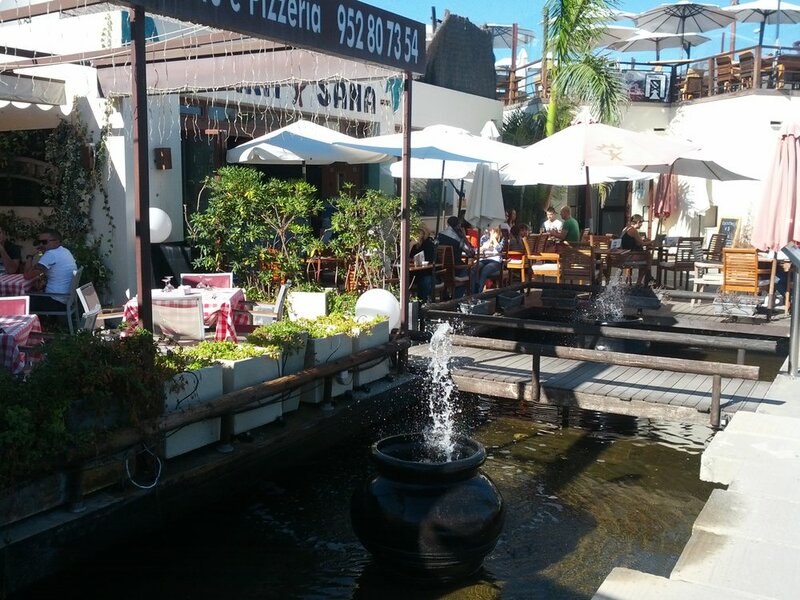 Take a short stroll up to Laguna Village, where you will find beach-side shops, beach clubs, live music, barbecues, tapas bars, cafes and restaurants. Only a 15 minute drive from Marbella's prestigious and glamorous venues. 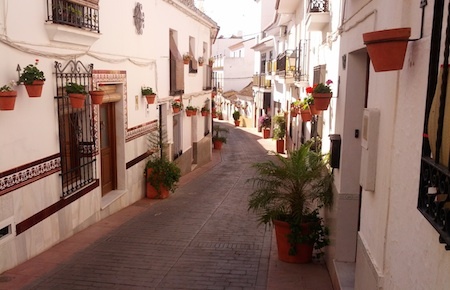 If you prefer a more traditional Spanish outing, head out to Estepona town, which is only a 5 minute drive away. Enjoying a privileged setting right by the sea, it offers its own superb, well-developed beaches with cheerful promenades. The cultured atmosphere and charming history of the place adds to its considerable beauty. Despite its popularity it has managed to keep its delightful village atmosphere that has long been lost in many of the other holiday destinations along the coast. New developments are meticulously planned to maintain Estepona's unique character. Despite its peaceful ambience, the town is vibrant, offering travellers a wide choice of restaurants, bars and a selection of alluring leisure facilities. One of the most popular beaches, especially for families, is La Rada, which is located to the east of the marina. It offers easy access and an inviting promenade, as well as sun beds, parasols and a lifeguard. Home to 28 exclusive shops, Laguna Village has several diverse restaurants and cafés, a spa and yoga centre as well as the fashionable and impressive Puro Beach Club. The beautifully decked area sports a spectacular infinity pool, which is surrounded by stylish comfortable white beds and lounges. If you prefer to cook up a storm at home, buy fresh ingredients in the nearby markets or the Aldi superstore. All within a 5 minute walking distance from Mar Azul Resort. Explorers can head to the exhilarating Selwo Adventure Park, a close 10 minute drive away. Tour the 1 million-square-metre wilderness aboard a 4-wheel-drive safari truck. Get closer than ever before to hundreds of different animals and birds. Selwo Aventura is a bit like being in Jurassic Park with the animals living in their natural environment – a great day out for all ages. Take a 15 minute drive to Puerto Banus and Marbella to enjoy a vibrant night-life. You will be entranced by the amazing harbour overlooked by restaurants and bars, with all its sparkling water, fabulous luxury yachts and exclusive atmosphere. Only 40km from Malaga Airport and 50km from Gibraltar Airport. We can arrange a shuttle to and from the airport at an additional cost, however we strongly recommend hiring a car to make the most of your holiday.